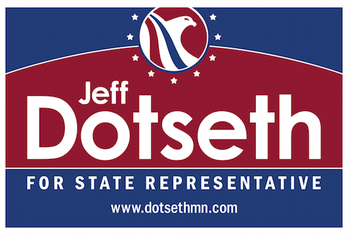 My name is Jeff Dotseth and I'm running to be your state representative. Health care costs in our community have gotten out of control. Yet far-left liberals demand another government takeover of our health care. Their proposal is a $3,000 tax increase on every man, woman and child and would end health insurance provided by our employers and Medicaid plans for seniors. That isn't a solution. That's a disaster. On Tuesday, November 6th, vote for me, Jeff Dotseth, and I will work to lower health care costs. Paid for by the Dotseth Volunteer Committee.